Sheila Marquises is the Senior Transportation Engineer for the City of Fremont Department of Public Works. Sheila has been an employee and resident with the City of Fremont for 15 years. 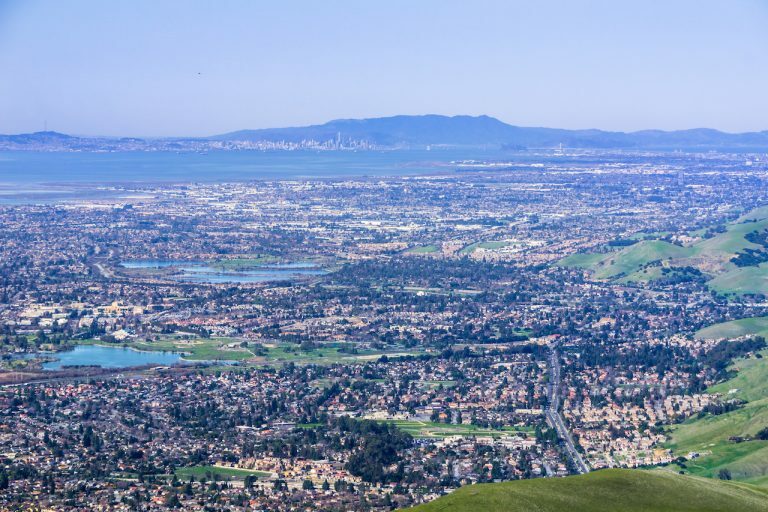 The City of Fremont is a mid-sized suburban community with a population of 231,664 situated within the San Francisco Bay Area. Fremont is part of the Silicon Valley ecosystem and is global leader for innovation with 40 million square feet of industrial space. Modern advances in mobility are now being innovated in the Fremont area, with the world’s most advanced electric vehicles being made by Tesla Motors in their Fremont factory. Traffic congestion is the top concern with Fremont residents. Fremont is experiencing regional cut-through traffic that is impacting the quality of life of residents and businesses. The traffic clogs our roadways with motorists who don’t live or work in Fremont. The rise in traffic congestion have been linked to the severe jobs and housing imbalance, Fremont’s geographic location between the job center to the south and affordable housing to the north and east, and the rise of navigation apps. The city has produced a newsletter to help residents understand the causes of traffic congestion and the solutions that have been implemented and in the pipeline. In September 2015, the Fremont City Council approved Vision Zero as its traffic safety policy and was the sixth city to have a specific Vision Zero action plan. 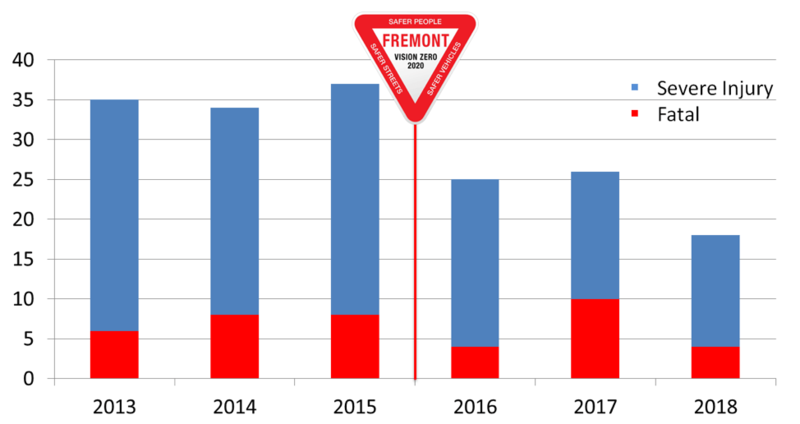 Fremont’s Vision Zero 2020 status report and action plan includes a detailed assessment of traffic crashes in Fremont and presents a comprehensive set of actions to improve traffic safety with an ambitious goal to significantly reduce severe injuries and eliminate traffic fatalities by 2020. Since the start of the Vision Zero program, major traffic crashes are down by 35 percent. However, more work needs to be done to get to zero and the city has turned to technology to get across the finish line. Fremont Boulevard is identified in the City’s General Plan as a “transit spine” dedicated to supporting multi-modal travel supporting cards, transit, bikes, and pedestrians. The corridor also serves as a vital link for regional transit service with several AC Transit regional bus lines. Also located in the corridor is the Centerville Train Station with commuter rail service for Capitol Corridor and Altamont Commuter Express. There are four schools located along the project corridor. After reviewing traffic collision reports, it became apparent that the city’s namesake street is the most problematic corridor with a disproportionate amount of crashes occurring in the corridor each year. In 2015, 50 percent of fatalities occurred on Fremont Boulevard, 25 percent in 2016, and 30 percent in 2017. The city focused resources and efforts to combat the traffic violence occurring in this corridor and aggressively explored funding opportunities to absorb costs. In 2017, the city was granted $10M in local Measure BB transportation sales tax funds to execute the Fremont Boulevard Safe and Smart Corridor project. Technology and innovation will be at the forefront of this project. The elements will serve specific purposes related to safety, traffic management, reduced maintenance and energy consumption. The project will not only support Fremont’s General Plan vision to “serve as a national model of how an auto-oriented suburb can evolve into a sustainable, strategically urban, modern city, but will help to facilitate Fremont as a leading city of innovation in Silicon Valley. Travel time saved from more efficient traffic signals will benefit all users of the regional transportation network. The reduction in congestion and safety enhancements will translate to higher productivity for road users who will be able to get to and from work and school easier. The use of wireless communication traffic signal data to the traffic management center (TMC) — rather than installing additional fiber optic cable. Emergency Vehicle Preemption (EVP) is a key Intelligent Transportation Systems (ITS) feature to improve response time and maintain emergency vehicle reliability in the corridor by efficiently providing priority signal treatments to emergency response vehicles based on the estimated time of arrival to a given traffic signal. Transit signal priority is an effective means for improving transit reliability and reducing delays at signalized intersections. Vehicle-to-Vehicle/Infrastructure/Pedestrians components will facilitate the communication of signal phasing/timing to equipped vehicles and the communication between other road users for basic safety messages to reduce collisions. Improved traffic management will reduce speeding which is the primary cause for serious injuries and fatalities. This will be augmented with automated speed detection which provides warnings for exceeding the speed limit. Dynamic power management of street lights will provide new opportunities to reduce operations and maintenance costs. Integration of the various systems and the ability to share multimodal information with stakeholder agencies, the public and third-party technology developers will be a showcase for transportation technology in the region. The Fremont Boulevard Safe and Smart Corridor project tackles real challenges facing the local community and will deliver innovative and reproducible solutions. To stay up to date on the project, visit FremontSmartCorridor.org. If you want less fatal crashes then design the pathways so that cars do not cross on the same plane. 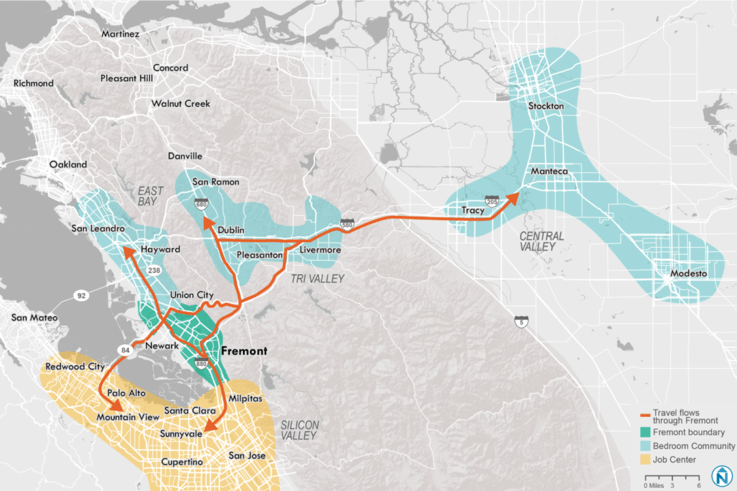 Elevated guideway would supply 9000 passengers per hour per guideway ending traffic congestion in the bay area. East/West guideway at 17 feet clearance and North/South guideway at 23 feet elevation. Mobility is a regional problem that will take more than one city to fix the underlying gridlock.